A great weekend in Marlborough for Graperide 2014. My highlights were flying low over the golden crags of the inland Kaikoura Ranges into Blenheim airport on the Friday night, knocking off over eight minutes off my PB during the race the next day, then enjoying a lovely meal with L and our cycling mates at the 12 Trees Restaurant at Allan Scott Vineyard that night. I also loved giving my wee LG a big hug on arrival back in Wellington. Lucky man am I! L and I bought this wine during a visit to a couple of wineries on Sunday. 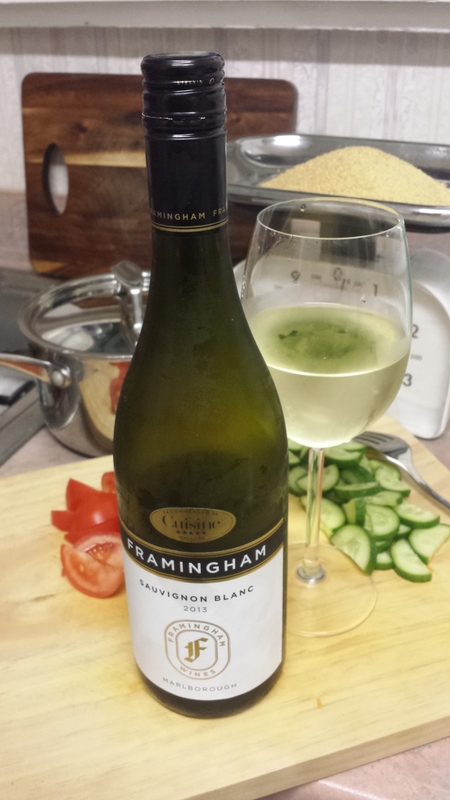 This entry was tagged $$, 2013, 4, Framingham, Marlborough, Sauvignon Blanc. Bookmark the permalink.